Rohit Sharma, who now has 202 sixes, became the 7th batsman to go past 200 sixes in ODIs. Rohit Sharma on Thursday crossed the 200-sixes mark during the fifth and final one day international against the West Indies in Thiruvananthapuram. 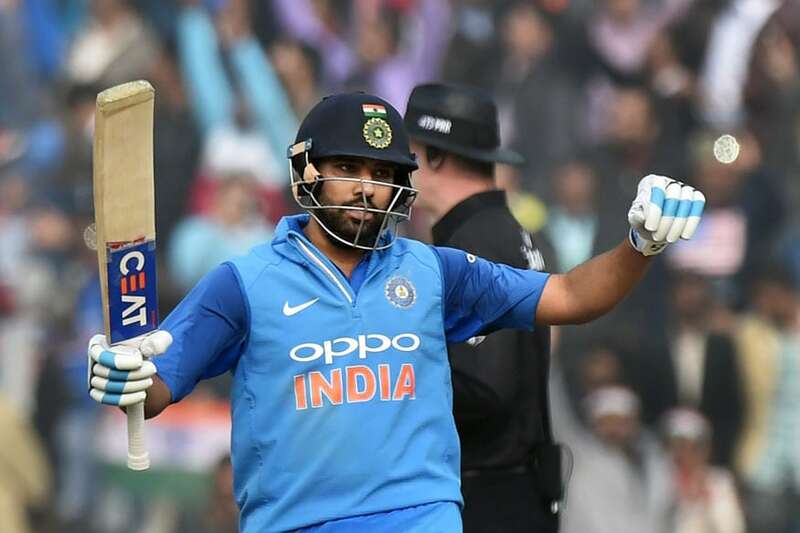 Rohit scored a stroke-filled fifty to power India to 9-wicket over over the visitors and clinch the five-match series 3-1. En route his 56-ball 63 not out, Rohit became the fastest batsman to hit 200 sixes, achieving the feat in only 187 innings. He bettered Shahid Afridi’s record of 195 innings as the India opener clobbered four sixes and five fours at the Greenfield International Stadium in Thiruvananthapuram. However, in terms of number of deliveries faced to reach the landmark, Rohit became the third quickest to achieve the feat doing so in 8387 balls. Afridi took 4203 balls while former New Zealand captain Brendon McCullum got to the landmark in 6308 balls. Rohit became the third Indian to hit 200 sixes and 7th overall to achieve the feat. Shahid Afridi leads the pack with 351 sixes followed by Chris Gayle (275) and Sanath Jayasuriya (270). MS Dhoni remains India’s most prolific six hitter with 218 under his belt. On Monday, Rohit surpassed Sachin Tendulkar’s tally of 195 sixes in the 4th ODI. Rohit finished the series as the second-highest run-getter with 389 runs. Rohit also completed 1000 runs in 2018 and is only behind leading run-getter Virat Kohli, who has 1202 runs. Rohit came into the series with 186 sixes to his name and joined the elite list with 16 maximums in the series. He now has 202 sixes.